I was delighted to be one of the guest speakers at the Elmbridge Food Festival at the Painshill Park’s, the beautiful 18th century landscape garden, Surrey – England last weekend. 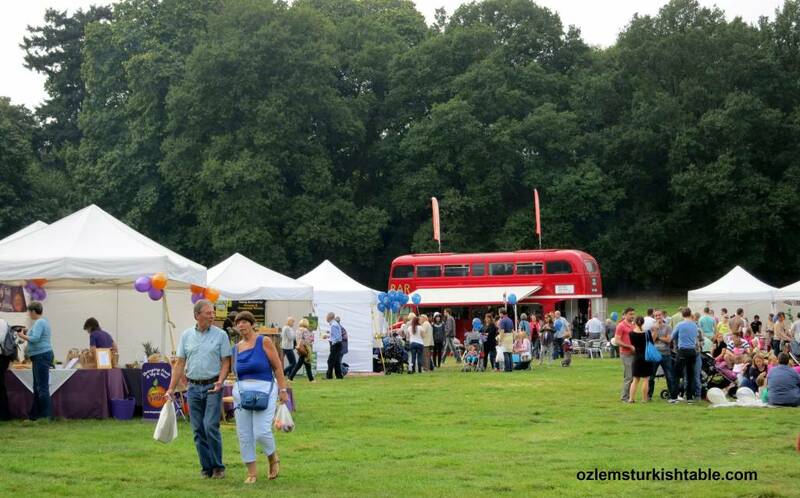 The festival showcased the local produce, artisanal bakery as well as ethnic cuisines in Surrey. It was a gorgeous weekend with sun upon us and a well-attended enthusiastic crowd at the demo theatre. 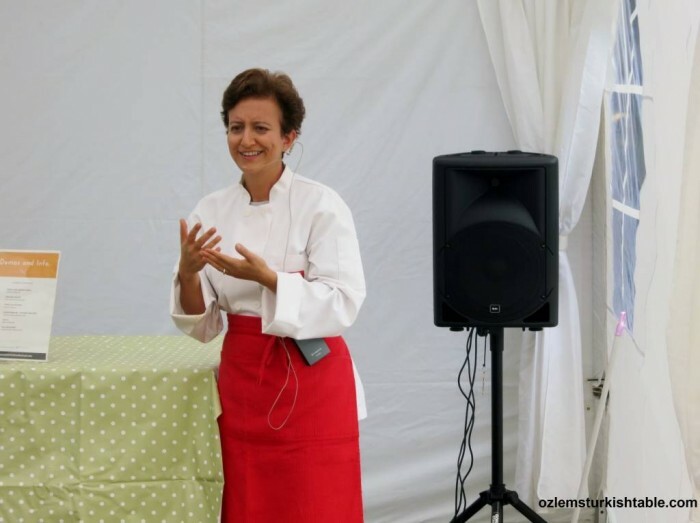 It was a great opportunity to talk about delicious, wholesome Turkish cuisine and that it is beyond kebabs (as much as we love them). Turkish cuisine is based on fresh, seasonal produce. 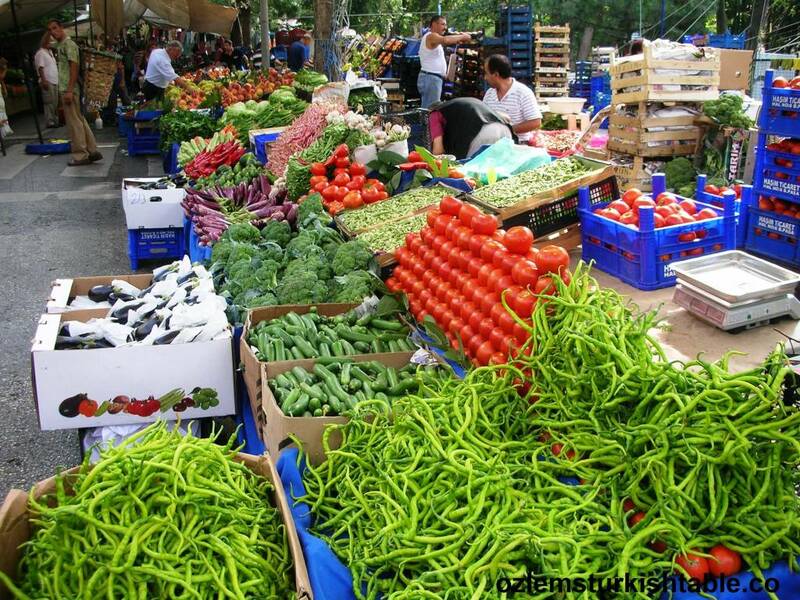 We are a lucky nation blessed with four seasons and abundance of seasonal fruit and vegetables regularly on display at farmer’s markets, pazar. In addition to fresh produce, wholesome grains like bulgur, legumes, dried fruits and nuts also feature frequently in Turkish cuisine. 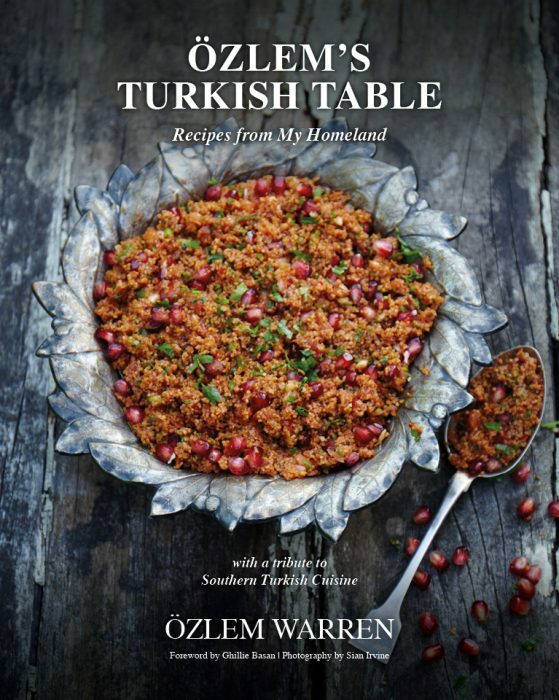 Here is some more information on Turkish cuisine and culinary traditions, if you like. My sweet models displaying dried bell peppers and eggplants! The dried bell peppers, eggplants (aubergines) and baby okra attracted a lot of attention (thanks to my sweet helpers!) 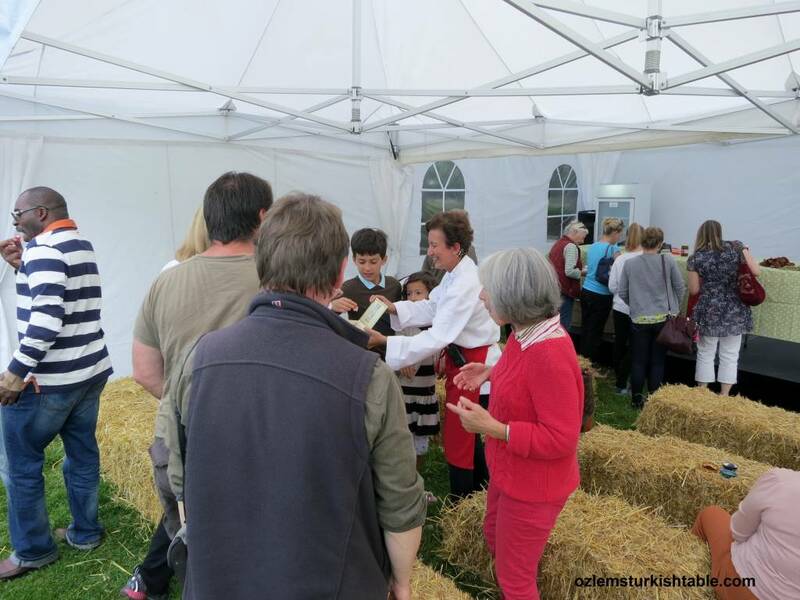 during the food festival. This is a mainly southern Turkish tradition; the excess produce of meaty peppers, aubergines (eggplants) and baby okra are dried under the hot sun in the summer at the southern part of Turkey. 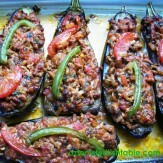 The flesh and seeds of the eggplants and pepper are taken out and left for drying at the regions of Antakya and Gaziantep. They will end up having a rich, concentrated flavor and delicious when stuffed with ground meat and aromatic rice, as in these stuffed dried eggplants and peppers, kuru patlican ve biber dolmasi. 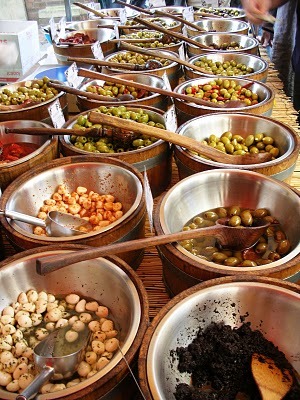 The fresh produce, grains and legumes are also flavored with artful use of spices in Turkish cuisine. For instance, we use pungent, warm cumin often. Combined with chickpeas and tahini, cumin is the spice that makes hummus taste like hummus. Cumin is wonderful on lamb and beef; with chickpeas, lentils, cabbage, eggplant and cooked tomato; or combined with spices like dried mint, paprika, cilantro (coriander) and saffron. It’s also perfect with garlic or fennel. How about the hearty Red lentils and bulgur soup, Ezo Gelin Corba? This spicy red lentil soup is one of my favorites; rich in fiber and protein and flavored with the refreshing dried mint and smoky, spicy Turkish red pepper flakes or chili flakes. 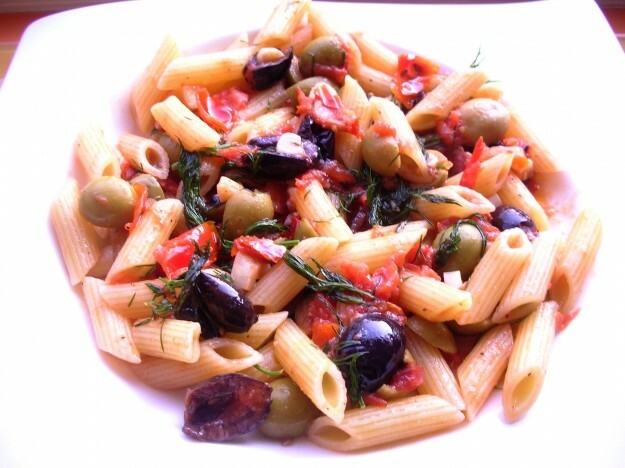 It is a very satisfying, heartwarming meal itself with some crusty bread aside. 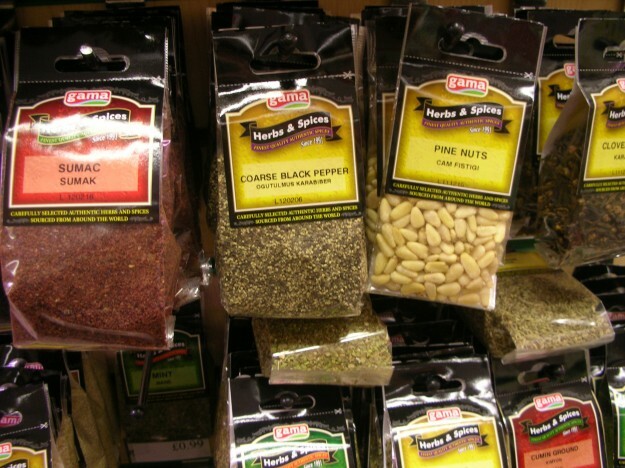 You can read more about spices used in Turkish cuisine here; they are a wholesome way of adding flavors naturally. We finished our talk with the Turkish Delights, Lokum, one of Turkey’s hallmarks. 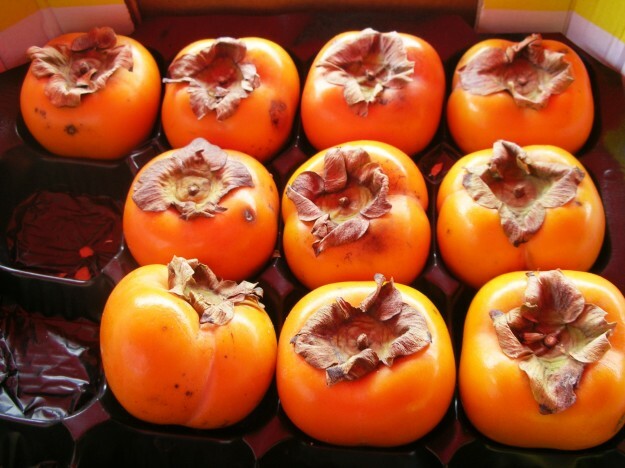 The real thing is much more fragrant, less sweet and packed with flavor, compared to the ones I came across abroad. 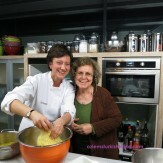 Therefore I decided to make my own Turkish delight and demonstrated in one of of Turkish cookery classes. 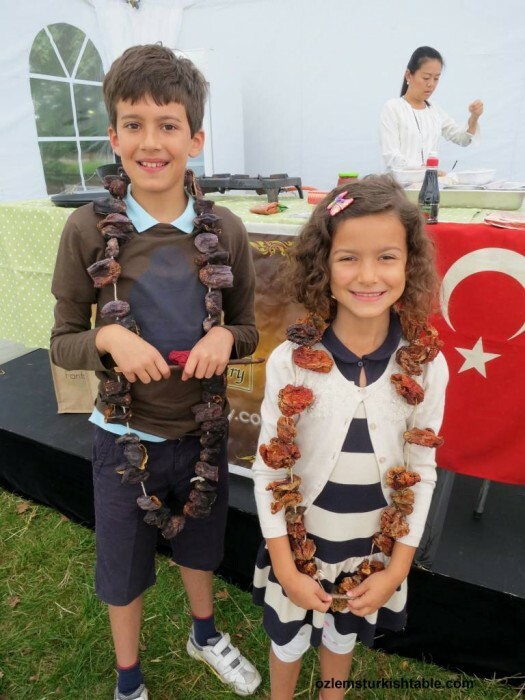 You’d be pleasantly surprised to see it is easier than you think, though bear in mind that home made lokum will be softer than the commercial ones but packed with flavor. 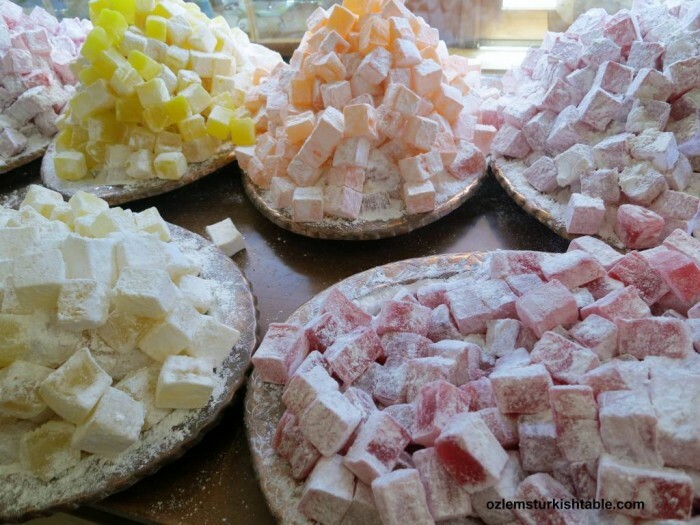 Here’s my home made Turkish delight recipe, if you’d like to try out. 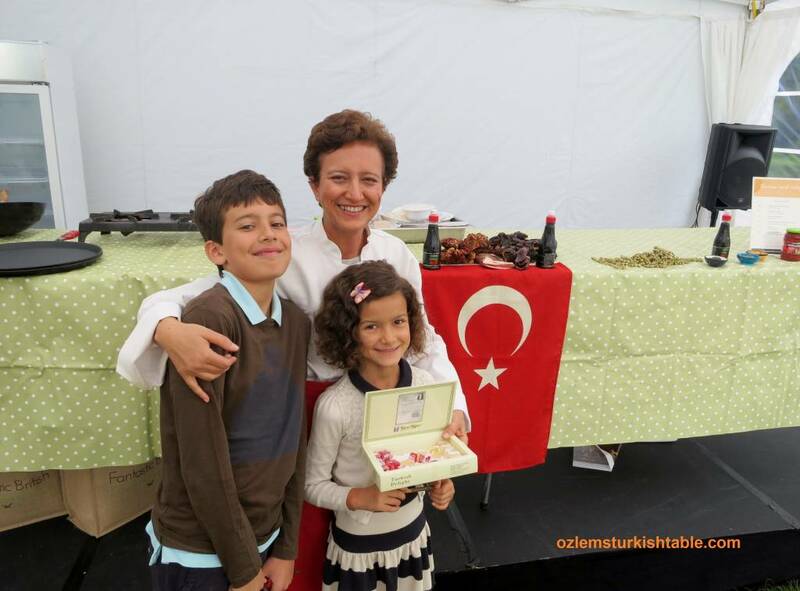 One of the highlights of my talk at the food festival was the hospitality, generosity of Turkish cuisine and culture. 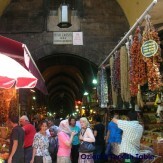 Hospitality is a big part of Turkish culture and you can feel it everyday life all around. I vividly remember friends and extended family members knocking the door of my Grandmother’s 400 year old house in Antakya spontaneously and happily welcomed to the dinner table. 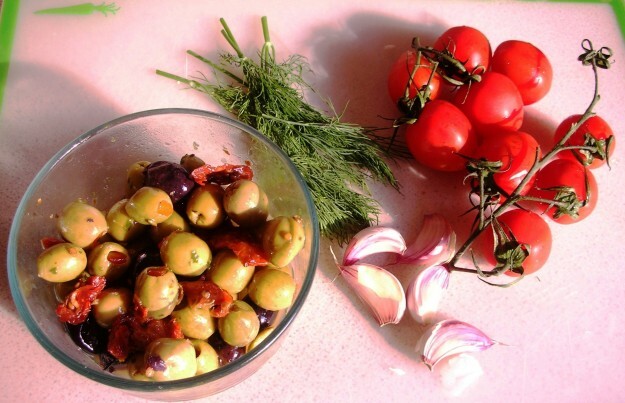 We would all sit around her courtyard dinner table under the fig tree and have a feast of senses with arrays of wonderful mezzes, abundance of fresh fruit and vegetables cooked in olive oil (Zeytinyaglilar), succulent kebabs and many more. You will be offered tea or Turkish coffee in the banks, shops, wherever you go with a smile. Turkish saying “Basimin ustunde yerin var” (“I would place you above my head”) I think sums the Turkish hospitality very well. 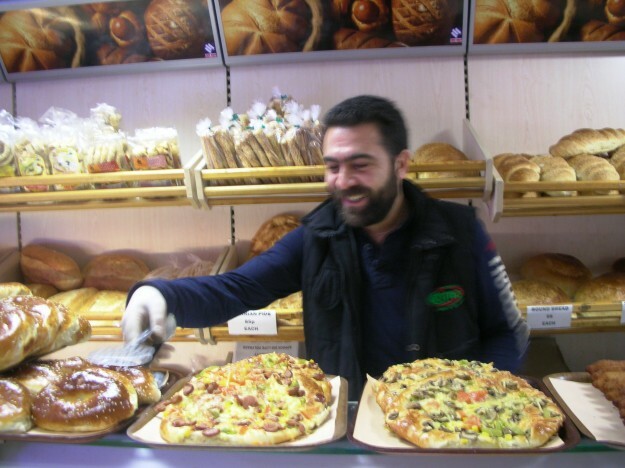 We Turks place our guests at the top of our heads and would be delighted to share our food with them, even it is some fresh bread and cheese. Children helping me out for serving Turkish Delights. 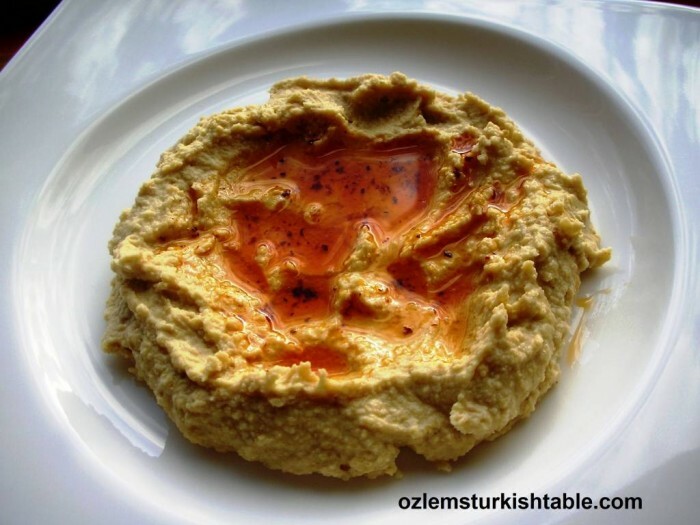 I hope this inspires and you keep on enjoying delicious, wholesome Turkish cuisine. My Turkish friend Ilgen kindly took us foodies to the Turkish market in Cheam, England (for the ones nearby the area, the address is: 565-567 London Road, SM3 9AG, North Cheam) and what a find. If you live abroad and look for local ingredients of your homeland, you know what I mean. 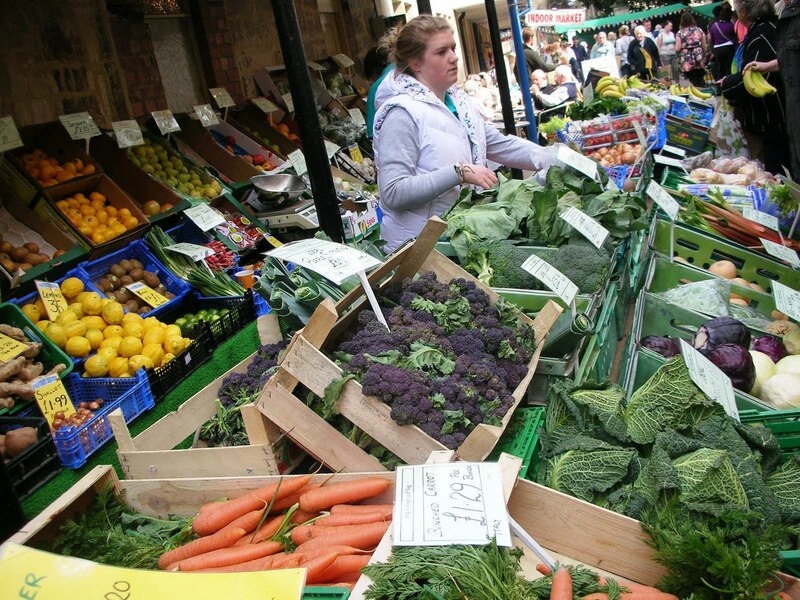 And this market has it all; wonderful looking fresh produce, spices, Turkish cheese, olive, olive oil, red pepper paste, grains, freshly baked bread, pastries and many more! 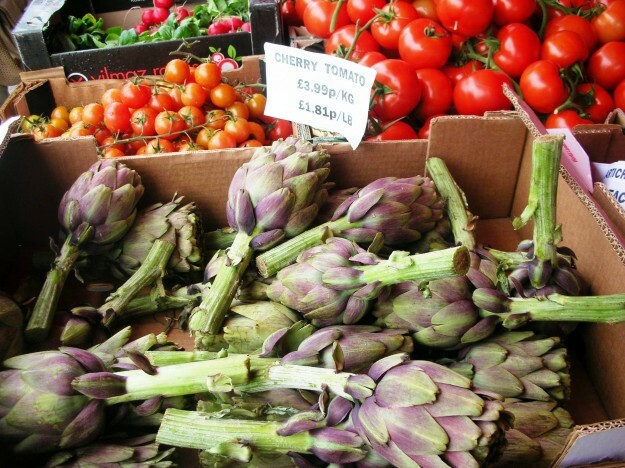 Look at these amazing artichokes! You can turn them into something very delicious with this Baby Artichokes Poached in Olive Oil with Broad Beans and Carrots recipe I posted earlier. 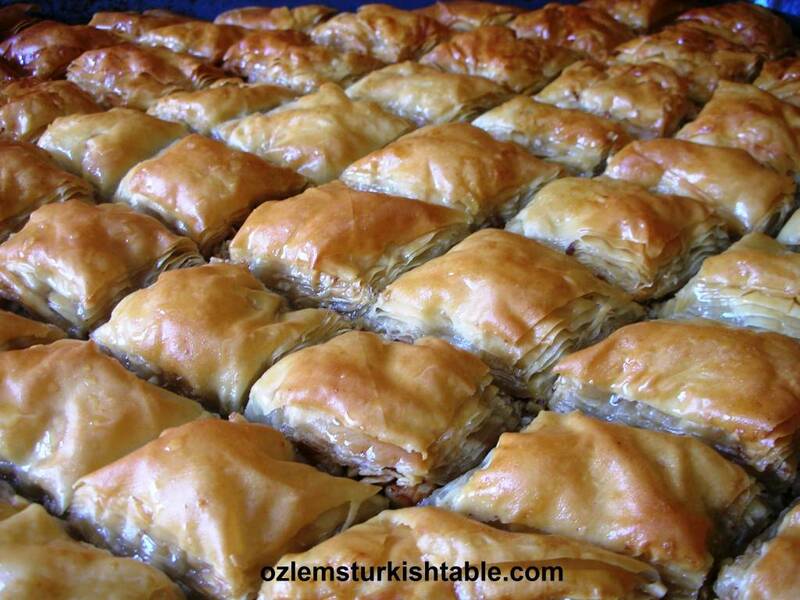 Turkish cuisine is based on using fresh ingredients bought daily. The Turks are purists in their culinary taste; their dishes bring out the flavor of the main ingredient rather than hiding it behind sauces. For instance, these cherry tomatoes would be divine in a simple sauce of olive oil, crushed garlic and a few olives, as in this pasta recipe I posted earlier. Back to the Turkish market again. These are fresh, ripe hurma (a type of date); so sweet and juicy; peel, slice and eat as it is, simply brings back many childhood memories. 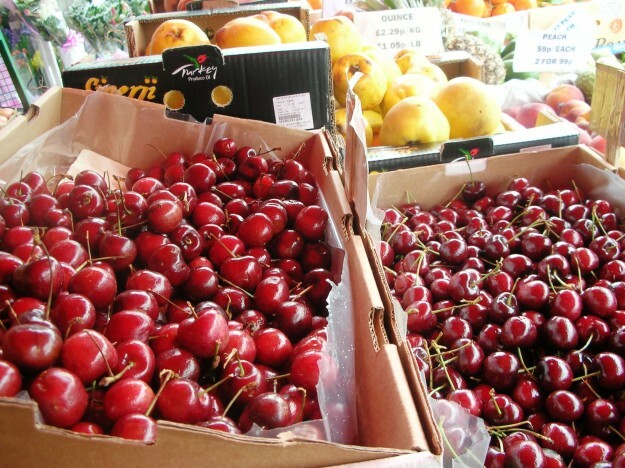 How about these mouthwatering cherries, they are so inviting! And spices; we can’t do without them, a great, healthy way to add flavour to any dish. Sumac, red pepper flakes, ground black pepper, cumin, dried mint; all major spices in Turkish cuisine. Last but not least the bakery in the market; I felt I was in heaven. 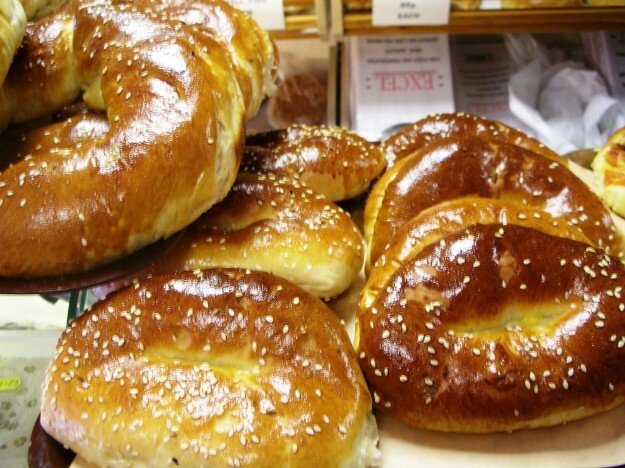 Smells simply guide you to the bakery and your eyes confirm that yes, this is heaven. 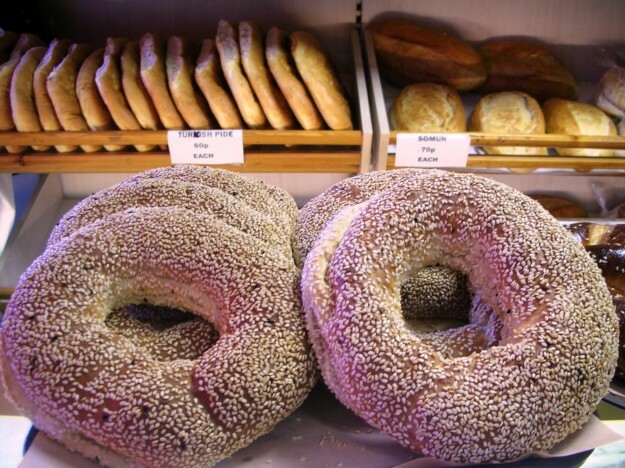 Mouthwatering simits coated with sesame seeds (here is my version of simit, if you’d like to try), sweet and savory pastries, flat breads and more; a feast to the eye. The savory pastry with cheese filling, pogaca, was lovely. If you like to make this savory pastry using fillo pastry, here is my version. Finally; the friendly baker who filled us with delicious goods. You can create many delicious, wonderful meals using only a few fresh ingredients. I hope the recipes can give you ideas and inspire. They are easy, healthy and can be ready in no time. We went to the Stroud Farmers Market in southeast part of England today. Flowers in full bloom, thanks to the glorious weather we have had in April – making the most of the sunshine before it decides to go away! 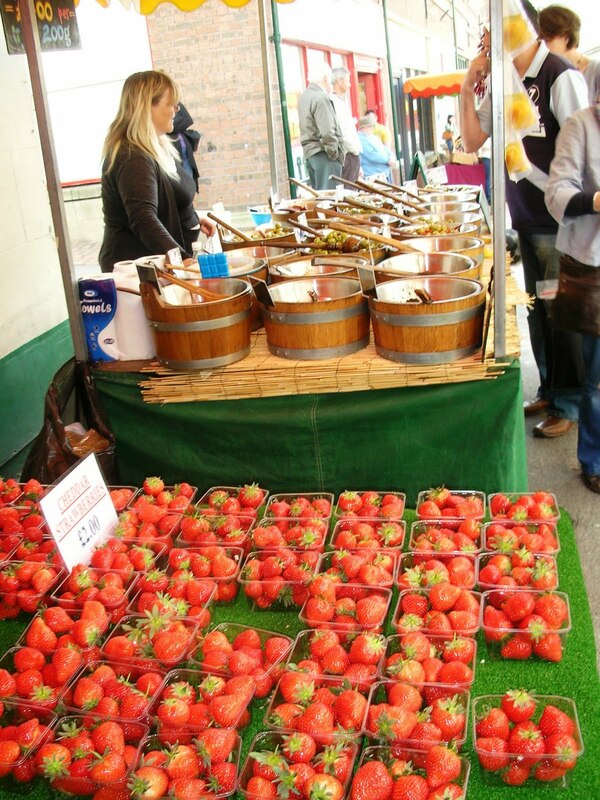 :)- And the Stroud Farmers Market is a sight to see – bountiful fruit and veg; the first strawberries, asparagus and many more proudly displayed, as well as great selection of olives, flowers, sausages, cheese and many more! 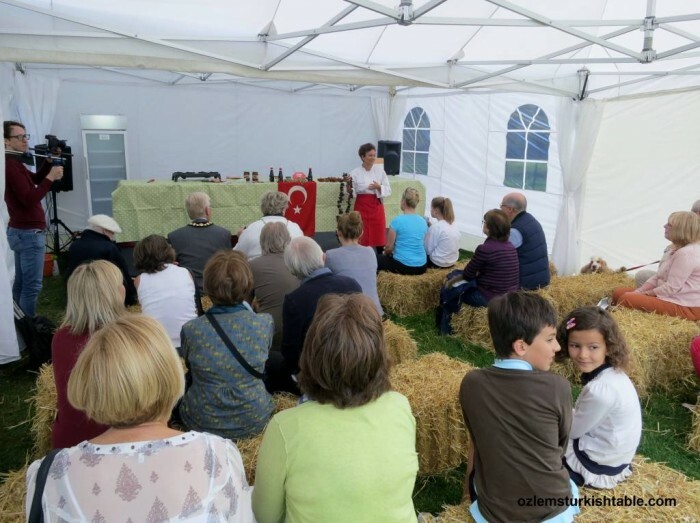 We are definetely going back again – here are some photos!